If you’re in the business of shipping equipment or materials, you probably use wood pallets to load your stock. 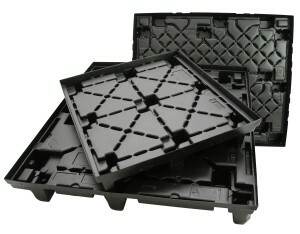 Did you know that some companies benefit from using Vacuum Formed Plastic Pallets instead of the Traditional Wood ones? There are certainly pros and cons to using both, so let’s examine both to help you make an educated decision for future shipping. Vacuum Formed Plastic Pallets are weather-resistant, clean and durable, are bug-free and require no fasteners which translates into a larger upfront investment then wood, but in most cases are far longer lasting. Meanwhile, Wood Pallets give off moisture, can splinter, hide bugs and require fasteners that can damage your products. Some industries work in a closed-loop warehouse system which allows the Plastic Pallets to be returned to the original shipper. This means you will not need to get new Pallets every time you send a shipment since you will receive your originals back eventually. How much do your shipments weigh? 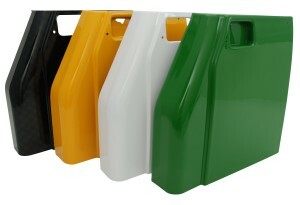 If you ship less than 1,500 lbs., typical Thermoformed Plastic Pallets are a great option for your business to consider. The Thermoplastic Pallets are lighter weight which reduces freight costs and fuel consumption as well. Wood can hold an average of 1,500 to 3,000 lbs. 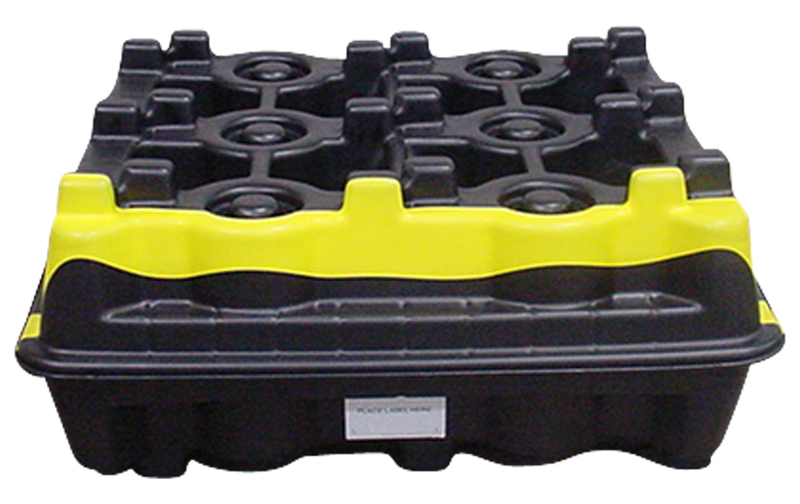 Heavy Gauge Plastic Pallets can hold the highest heavy static and dynamic loads depending on the design. Of course, considering the environment is very important. Wood Pallets are made using natural and sustainable materials (wood! ), can be fixed if damaged or broken and of course can be recycled. 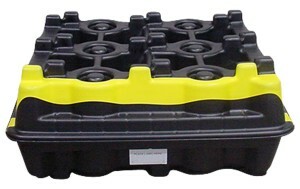 Thermoformed Plastic Pallets can last much longer than Wood and can be recycled and repurposed. 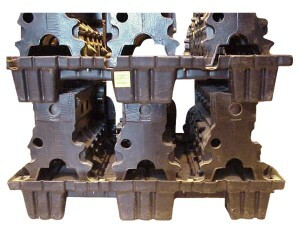 Wood Pallets require fasteners, and therefore may damage your items during shipping. 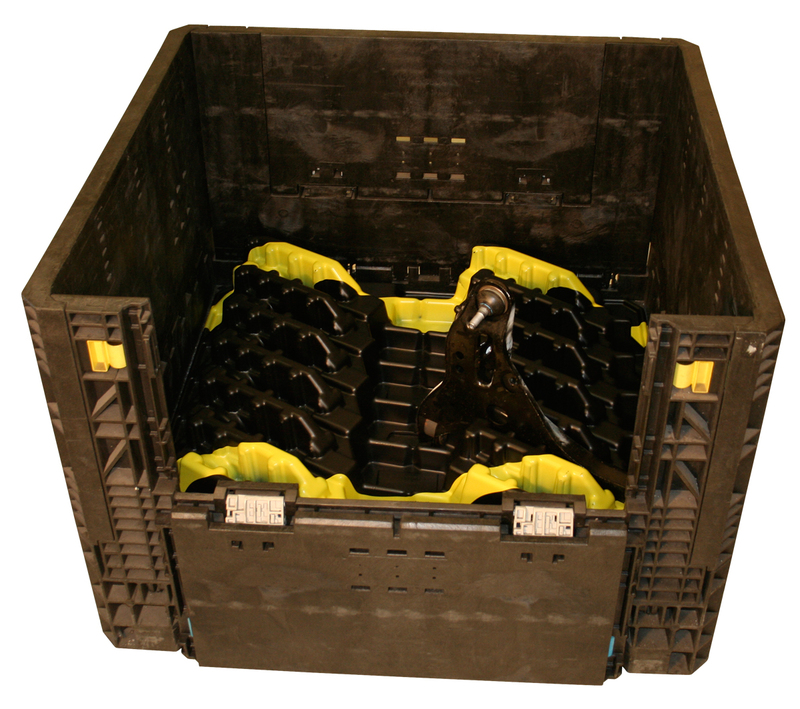 If your items are fragile, consider using Thermoplastic Pallets for this reason. Analyze the cost differential between damaged products versus Vacuum Formed Plastic Pallets. Which makes more financial sense? Do you need to use your pallets for more than just shipping? 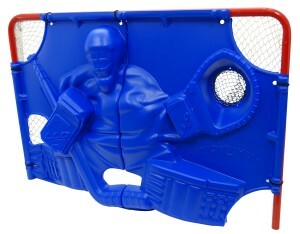 Displays, for instance, can be made with Plastic Thermoformed Pallets. This is another way to ensure you are getting the most out of your investment. Plastic Pallets burn at a higher temperature than Wood. So if you choose Plastic, make sure you and your team know the fire codes and be sure to get UL-listed Plastic Pallets that are fire retardant. If you ship overseas, use Wood. There are new rules that require Wood Pallets, so be sure to learn about ISPM 15 code regulations. 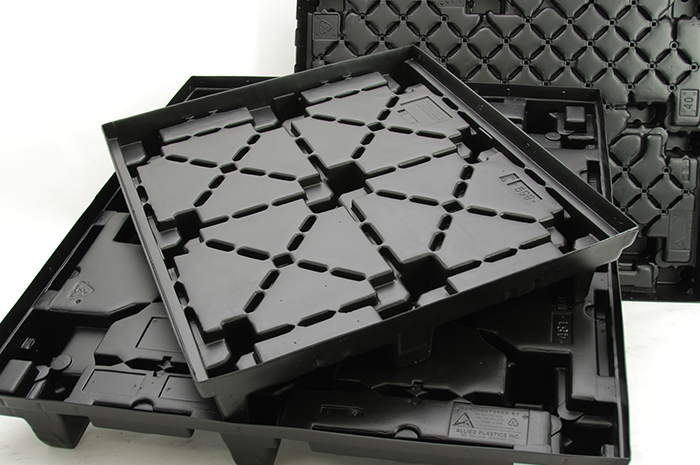 Which Vacuum Formed Plastic Pallet is Right for Your Business? Preliminary questions would be: What size? How much weight does it need to hold? What are you using the Pallet for? How are you moving the Pallet? 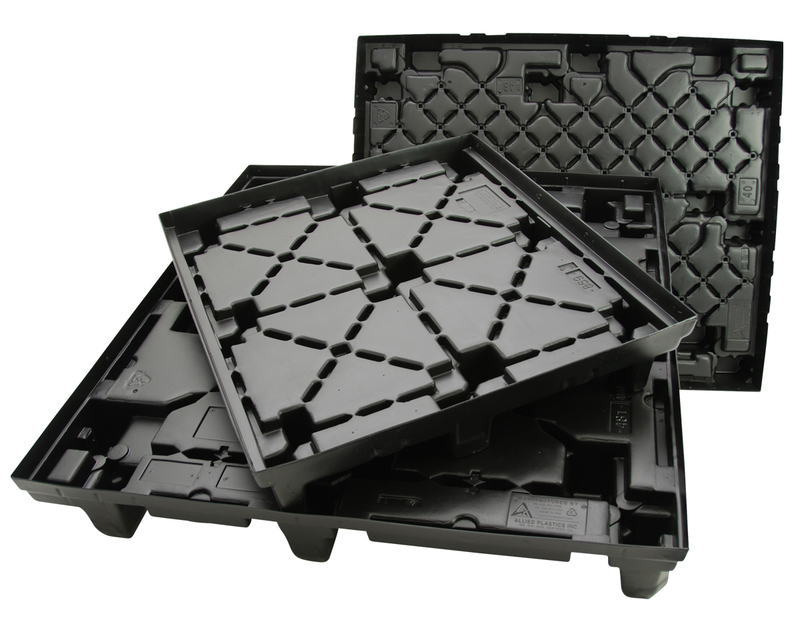 Allied Plastics can help you narrow down what Vacuum Formed Plastic Pallet is right for your business or design something entirely new to suit your needs. 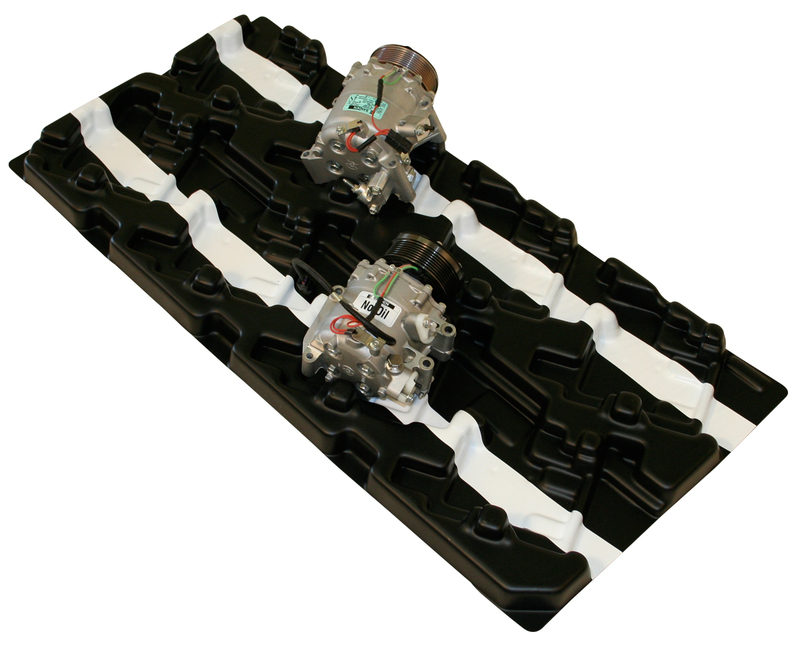 Are you ready to try Thermoforming for your shipping Pallets? Talk with an Engineer today.